From December 1978: Can it be... Superman on the cover of a Marvel mag? Yup. And not for the last time either. 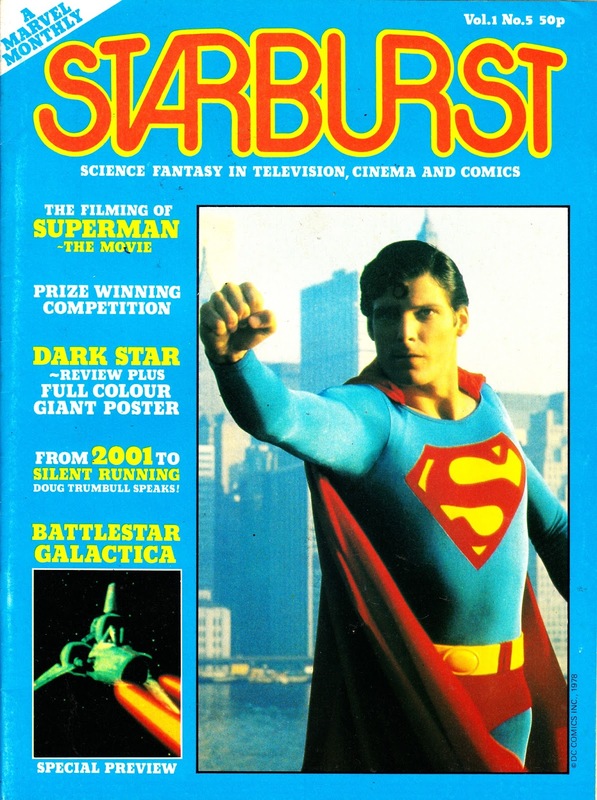 The late Christopher Reeve graces the cover of MARVEL UK's STARBURST issue 5. Labels: 1978, BATTLESTAR GALACTICA, MARVEL UK, STARBURST, SUPERMAN THE MOVIE. and the ant-man bandwagon / cash cow rolls on. Today sees the release of THE ART OF ANT-MAN , another lavish tome in the mighty marvel manner full of photos and art from the movie which btw is getting very good reviews. And the theme music sounds groovy.